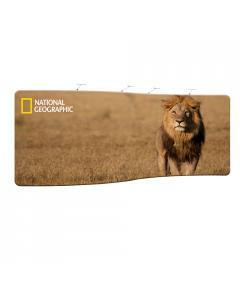 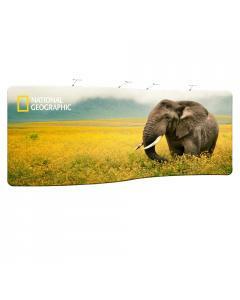 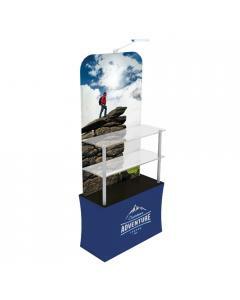 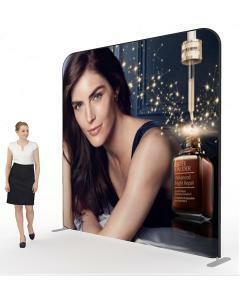 This straight stretch fabric display stand with branded counter is a fantastic portable exhibition kit. 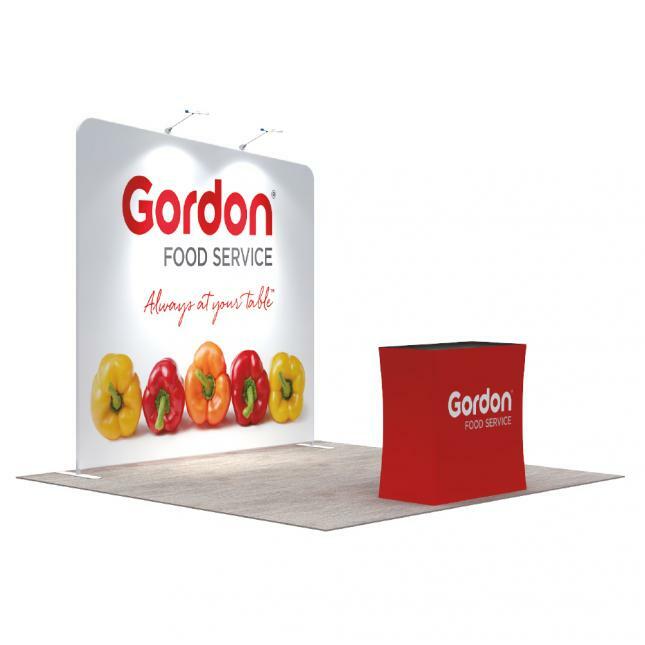 As part of our modular stretch fabric range you can add to this display system as and when your stand requirements grow and change. 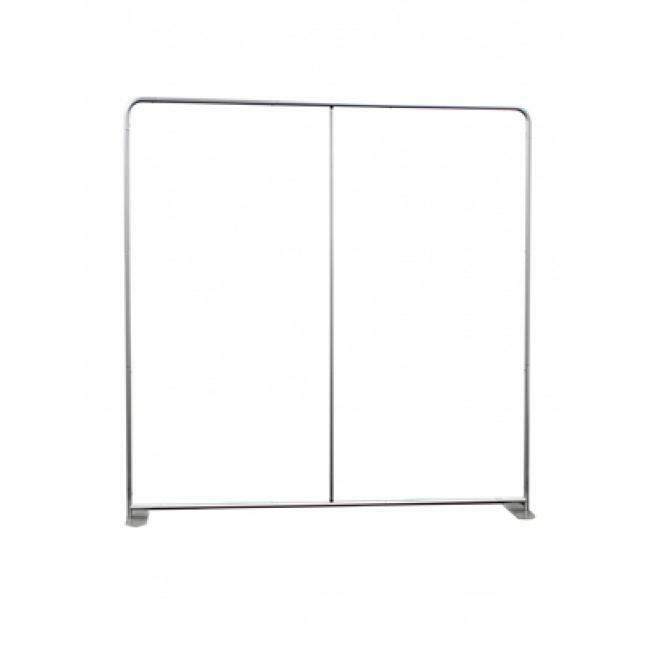 The straight back wall is available in eight different width sizes and you can opt to add halogen or LED lights to your purchase. 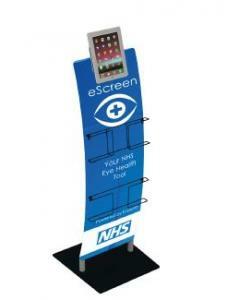 Made with strong 32mm diameter tubular framework and freestanding with its self supporting feet, bring your business and brand to the forefront of an event, point of sale display, pop up shop or exhibition. 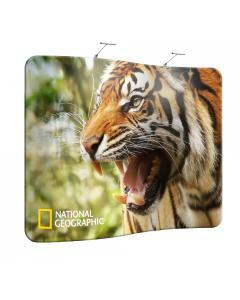 The framework is dressed with a single sided or double sided fabric graphic printed with your supplied artwork. 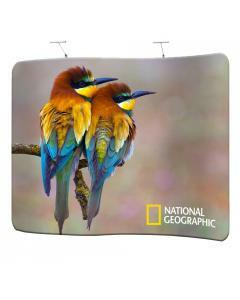 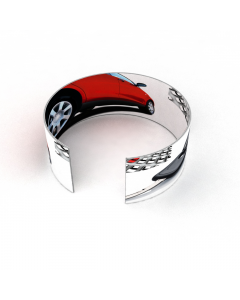 Alternatively get our graphic designer to create your artwork for you. 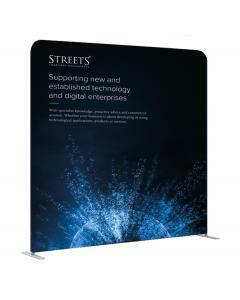 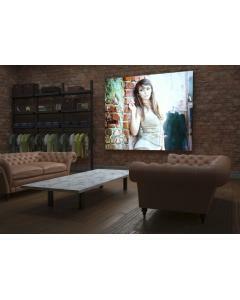 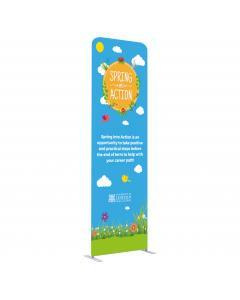 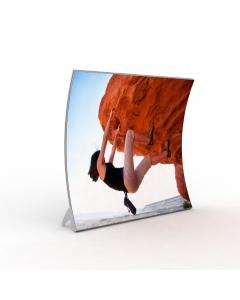 The stretch fabric displays are simple to install and the tubular lengths push fit together to create your display frame. 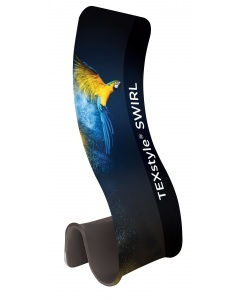 Once your frame is built you pull the fabric graphic sock over the framework. 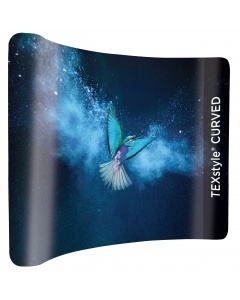 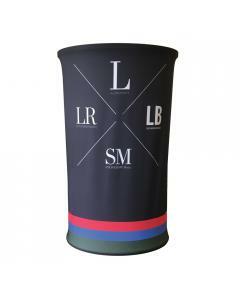 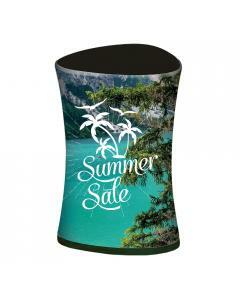 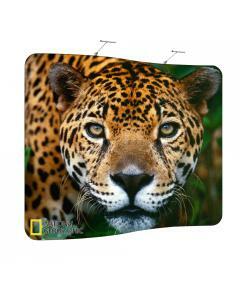 The counter has a black top and is clad in a printed fabric graphic to further promote your brand. 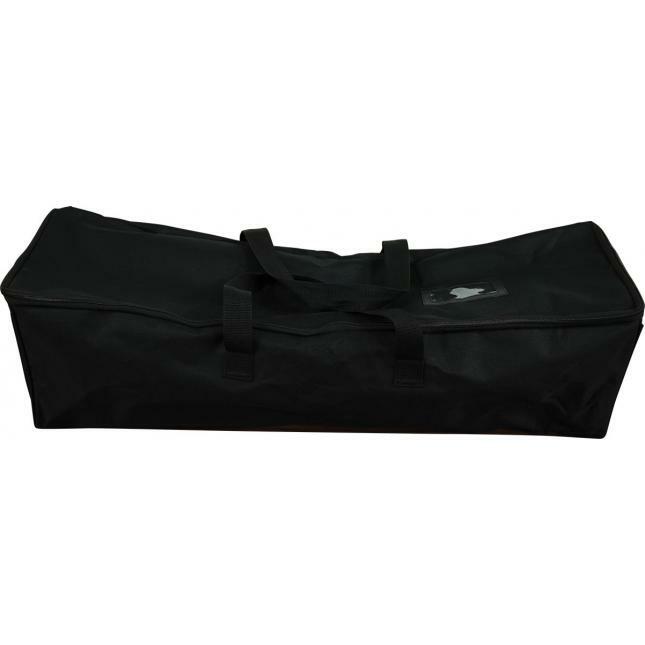 Both the stand and the counter come with a carry bag for easy transportation. 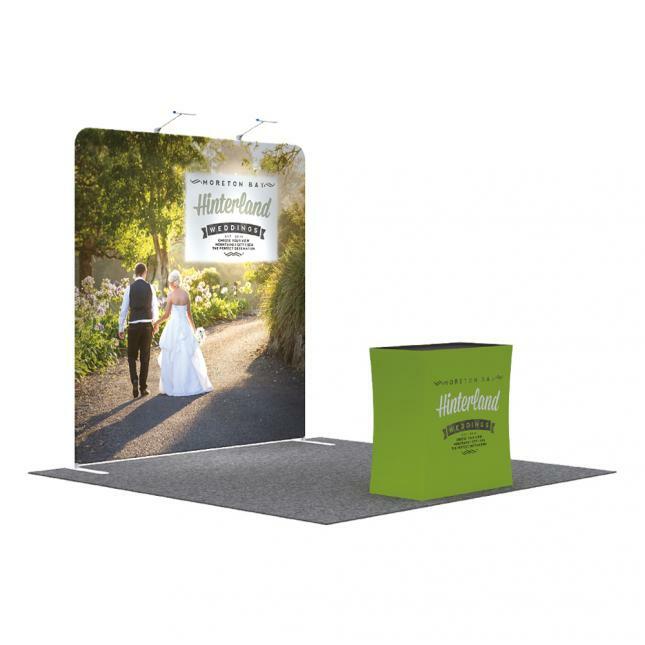 The straight fabric display stand is available in a range of sizes making it ideal for different exhibition stand floor spaces and different point of sale venue, such as an individual retail outlet or large shopping mall area. 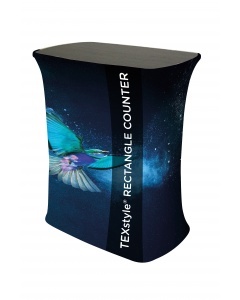 Why choose the Straight Fabric Stand with Counter? 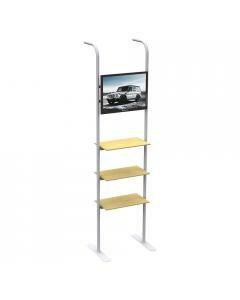 Graphic dimensions are supplied above. 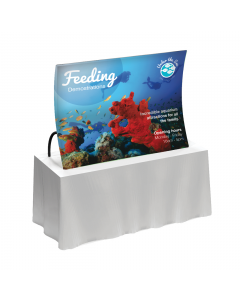 Contact us if you require a graphic template by our contact us form or call us on +44 (0)1733 570222.